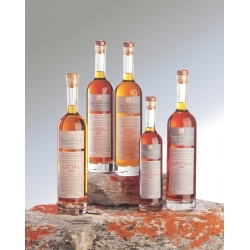 It is the widow of a former broker, passionate about old cognacs, who sold Jean Grosperrin these very old champagnes. 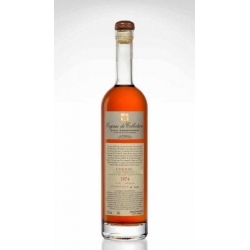 Nose of old Madeira and old Porto with prune finals. 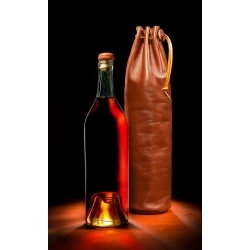 The palate is round and unctuous appears a rancio with notes of cinnamon and leather. Cognac de Collection Grosperrin Vintage 1944 Bons Bois 51,5° This vintage cognac comes from a fruit farm located in Saintonge. Cognac de Collection Jean Grosperrin N°71Petite Champagne 48,5° This old cognac is not vintage but it has a guarantee of minimum age of 33 years. Cognac de Collection Jean Grosperrin N°68 Fins Bois 55,8° This cognac is not vintage, but as No. 71 it can benefit from an indication of minimum age of 36 years. Cognac de Collection Jean Grosperrin N°67 Grande Champagne 47,5° This cognac comes from a winemaker in the region of Salles-d'Angles, whose father had large stocks made by himself and previous generations. 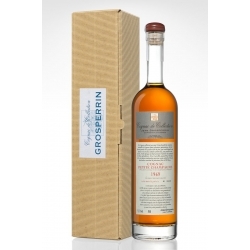 Cognac de Collection Jean Grosperrin N°48 Borderies 46,8° This very old cognac comes from the heritage of a family of notables installed since 1794 near the village of Saint-Sulpice-de-Cognac. 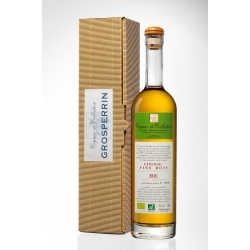 Cognac de Collection Jean Grosperrin N°28 Borderies 53,8° This very old cognac was bought from the widow, almost a century old, from a winemaker who has been in the village of Burie since 1930, right in the heart of the Borderies. 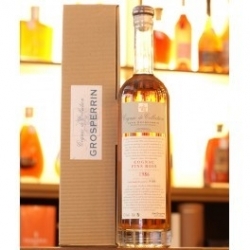 Cognac Grosperrin "Trésor" N°14 Petite Champagne 40°8 - 1 liter "Paror" is the name under which cognac appears in the inventories of the merchant who sold us this cognac several years ago. Great eau-de-vie !! One of our most precious "treasure" ! !